Claria Horn Boom ’94 has been confirmed to a shared seat on the U.S. Districts of Eastern and Western Kentucky by the U.S. Senate. The seat has been open since 2013, when Judge Jennifer Coffman retired. Boom was a partner at Frost Brown Todd in Lexington before her appointment to the federal bench. She was nominated for the seat by President Donald J. Trump on June 7, 2017. A native of Kentucky, Boom graduated from Transylvania University in Lexington before earning her law degree at Vanderbilt, where she was elected to the Order of the Coif and served on the executive editorial board of the Vanderbilt Journal of Transnational Law. She was a law clerk for Judge Pierce Lively on the U.S. Court of Appeals for the Sixth Circuit, and then joined King & Spalding in Atlanta. In 1998, Boom returned to her home state to serve as an assistant U.S. attorney for both the Eastern and Western Districts of Kentucky. She prosecuted a variety of financial crimes, including bank fraud, wire fraud and tax fraud. 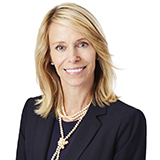 She joined Frost Brown Todd, where she advises businesses and financial institutions on real estate, regulatory and litigation matters, in 2006. She was recognized as the firm’s Mentor of the Year in 2012. She has served on the board of trustees for Transylvania University.